The first lesson of living in Rwanda, says Holli DeVon, is this: Never leave home without a bottle of water and baby wipes. 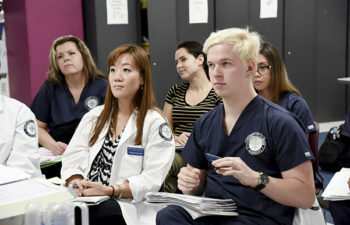 “You never know what’s going to happen when you’re out,” says DeVon, PhD ’02, MS ’82, RN, FAHA, FAAN, UIC College of Nursing professor and head of the Department of Biobehavioral Health Science. You might find yourself in a bathroom with no running water, or, as happened to her one day, on a nearly four-hour odyssey home due to road closures. DeVon spent the spring 2018 semester on a Fulbright grant in Rwanda, a four-month, jam-packed experience that she describes as life-changing. 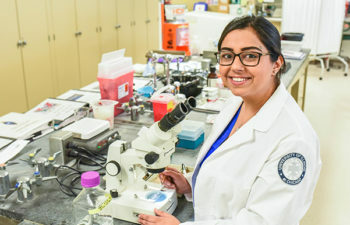 Her mission there: Study how various risk factors contribute to cardiovascular disease among patients with and without HIV. 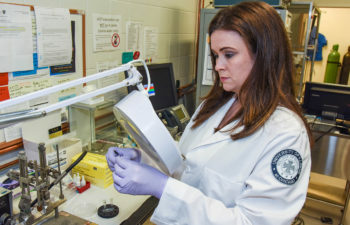 The Fulbright Scholar Program is the U.S. Department of State’s flagship academic exchange, offering teaching and research opportunities in more than 125 countries. 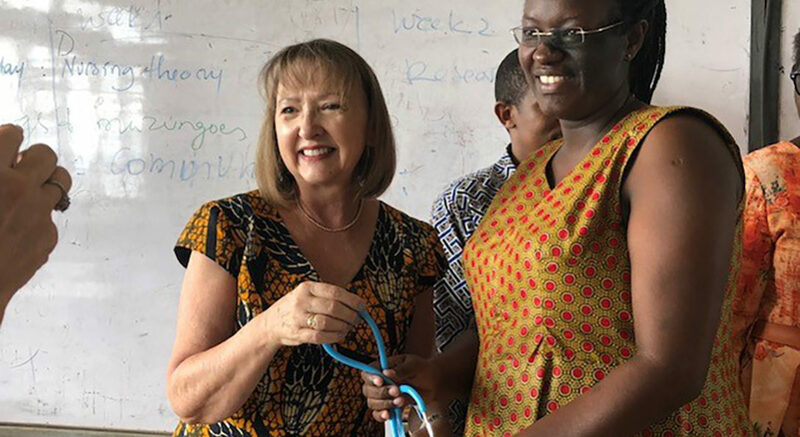 DeVon says that she had her sights set on a Fulbright for the last 10 years, but a conversation with professor emerita and former dean Mi Ja Kim, PhD, RN, FRCN, FAAN, steered her work to Rwanda. 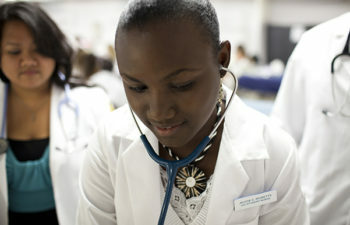 The College of Nursing has strong ties to the country as one of five nursing programs taking part in the Rwanda Human Resources for Health program. When DeVon mentioned she was applying for a Fulbright, she recalls that Kim told her, “You can go to Rwanda. They need you there.” Two days later, DeVon had a letter of sponsorship from the University of Rwanda, a requirement for the application. DeVon, a highly regarded researcher in the area of heart disease, partnered with a Rwandan physician who is an HIV specialist, Brenda Asiimwe Kateera, MD. That’s especially crucial given the country’s recent history. It’s only been 24 years since the 1994 genocide, which wiped out an estimated 800,000 to 1 million Rwandans during a 100-day period. DeVon was there during the genocide commemoration week in April. Noncommunicable diseases, such as heart disease, are on the rise in Africa. Cardiovascular diseases have emerged as one of the most common causes of death in individuals with HIV. Patients with HIV tend to get cardiovascular disease 10 years earlier than a healthy person, according to a paper published in the Rwanda Journal of Medicine and Health Sciences, on which DeVon was the lead author. Anti-retroviral therapy is accessible to many patients in Rwanda and has “turned HIV into a chronic disease, rather than a terminal one,” DeVon says. 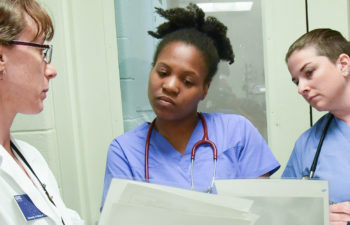 DeVon and Kateera are conducting a pilot study of 30 patients to study the risk factors that may contribute to early onset of heart disease in patients with HIV, including both traditional factors—such as tobacco use, unhealthy diet, physical inactivity and alcohol use— and “novel” risk factors, such as inflammatory and immune factors detectable in the blood. “That will help us design targeted interventions for patients to reduce their risk,” she says. 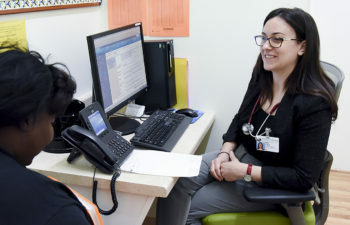 DeVon says she hopes the pilot data will be used to expand studies to examine other noncommunicable diseases, such as chronic kidney disease and hypertension.